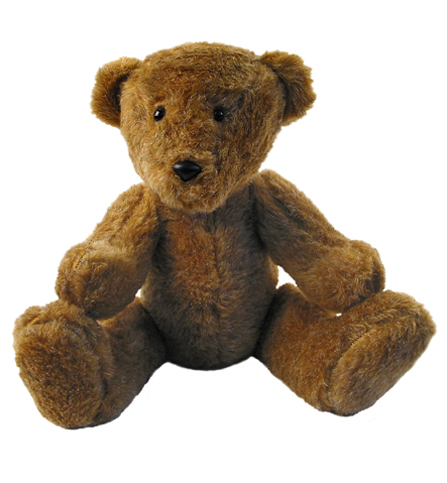 Completely made in the USA Conner is our only fully jointed bear. His pleasant face and posable arms and legs make it easy to play with and dress. This wonderful rare bear will be a best friend to all who love him. Conner is 20 inches overall and 12 inches sitting.